Finished last year off with a new tree when Susan gave me a lovely sturdy Crab Apple for my birthday in December. I have had a so called Crab Apple for over thirty years and the rotten little thing has never flowered at all so all my hopes are now pinned on this new addition to the collection. A busy workshop evening- I wonder what Sara is up to with that nice little tree of hers? 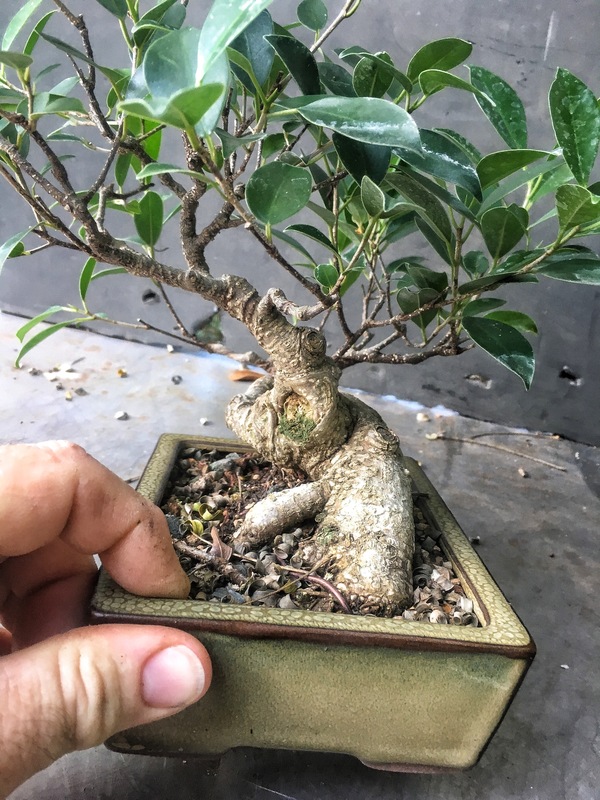 The first meeting of the year was a hive of activity as members worked on their trees with the advice of some of the ‘old hands.’ Club President John, Ade and Roger were there ready to lend assistance and words of bonsai wisdom to us less experienced members. 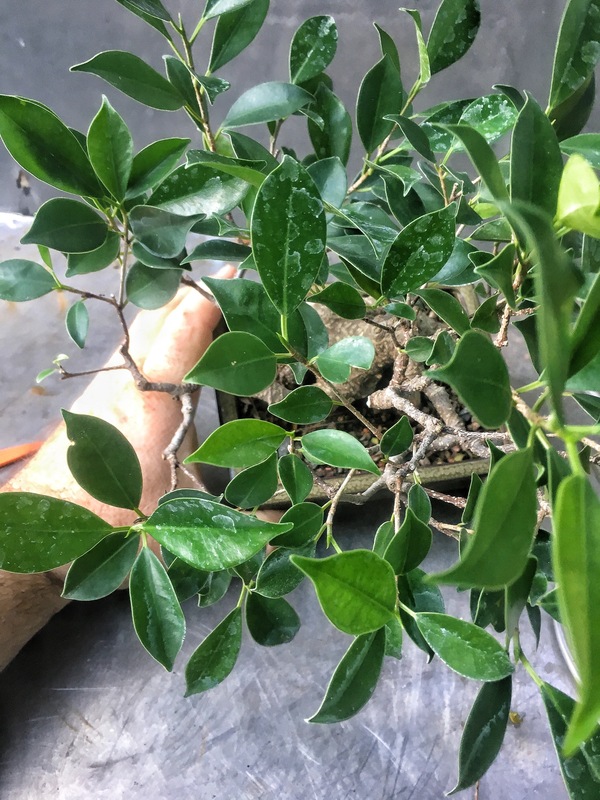 Books are good, videos are a help but there is nothing like someone standing by ones shoulder telling you exactly what to do, why you should do it and what a difference it might make to ones tree in the future. I will be taking this Larch along to the 4th Ayr Winter Image Show tomorrow. This is the first event of the year in the Scottish Bonsai calendar. It’s in a new venue this year, the Savoy Park Hotel, Racecourse Road, Ayr and the doors open at 11.00 am. 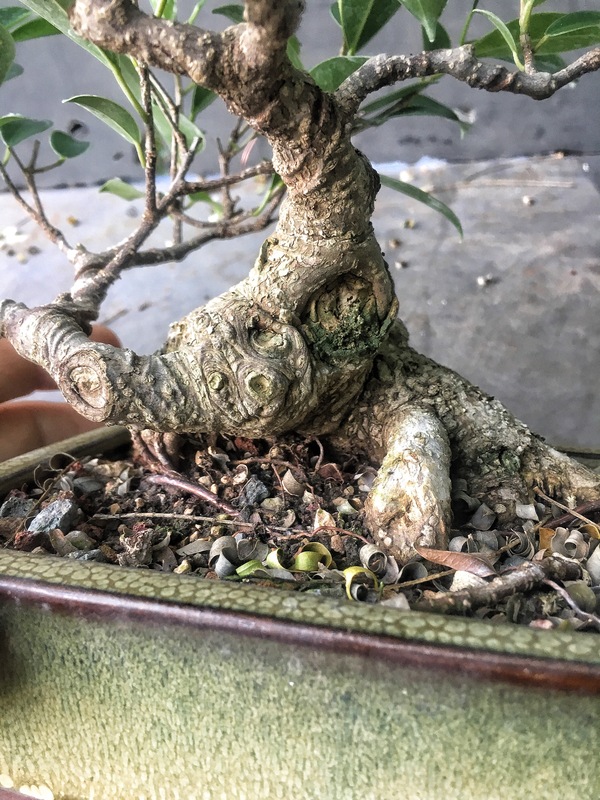 If you like bonsai and live nearby this is one not to be missed. I will be taking lots of pictures and they will appear on the blog sometime on Monday. I posted on this last week but I wanted to revisit the tree here and get all the photos in one place. As stated, this tree was part of the Iwasaki Collection in Japan. 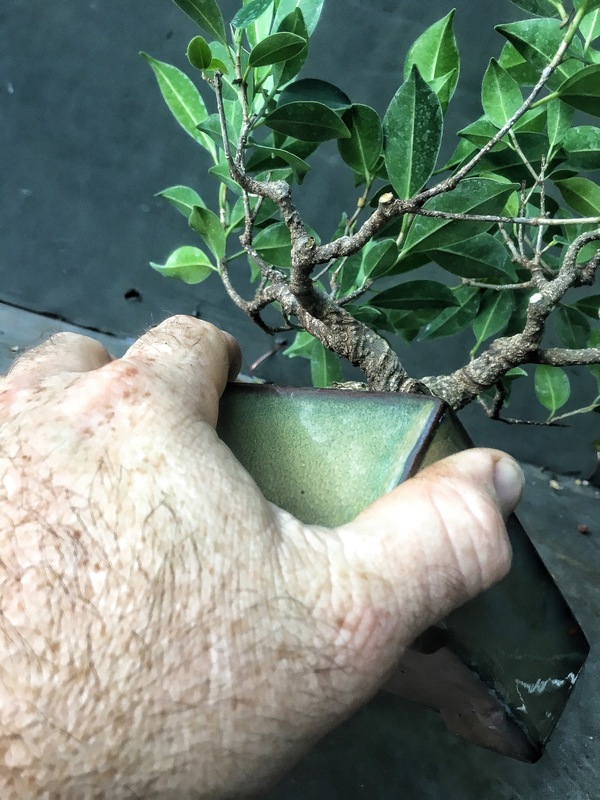 I have pinched Peter’s text from his Facebook page explaining a little about how he came to have the trees. 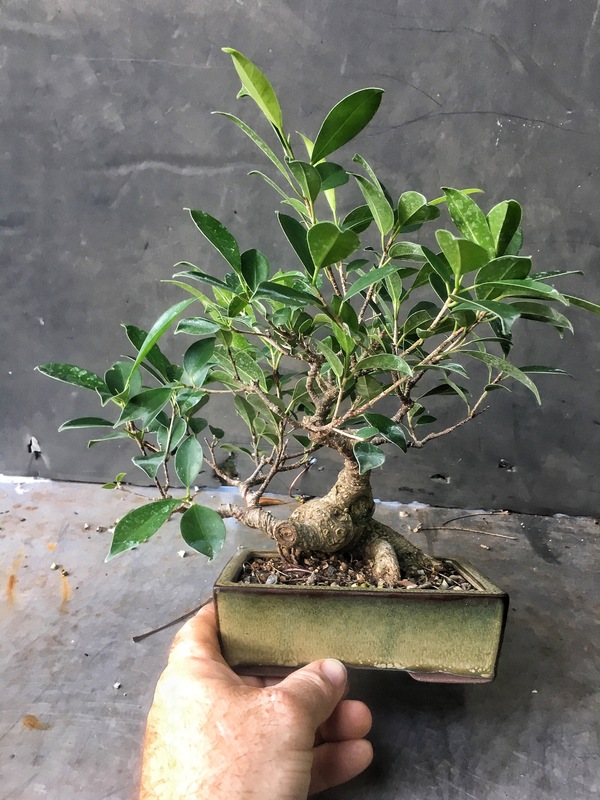 Last May I took a very short trip to Japan as I was invited by Mr. Morimae of S-Cube Bonsai to have a sneak preview of the sale of the Iwasaki Collection. 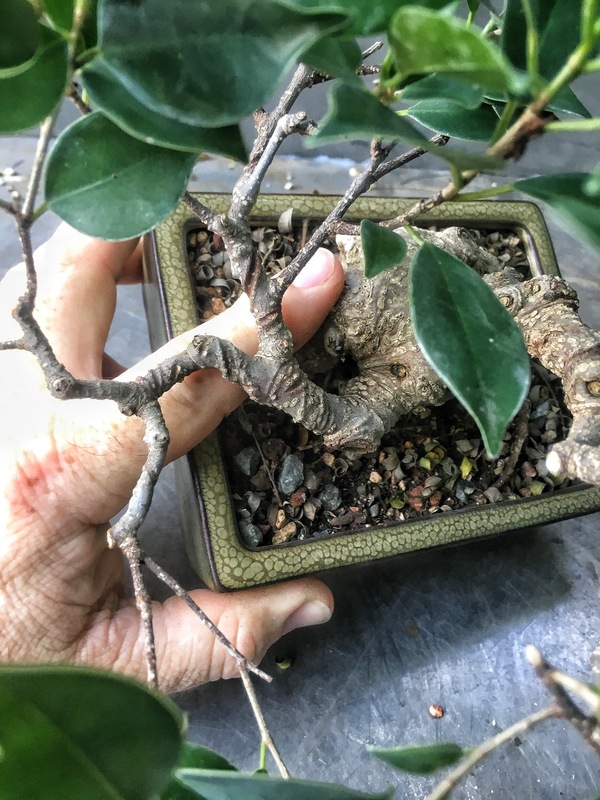 Here’s an interesting ficus. I got it from my oldest son’s 7th grade teacher, Mr. Myers. That was a few years ago and it’s finally ready. It’s taken a little while to get it to grow. He had nearly killed it and that’s why he gave it to me, to revive it. I did some serious branch work on it, you can tell by the, almost, healed scars on the main branches. It’s an interesting shape, very low and squat. With really quick taper. 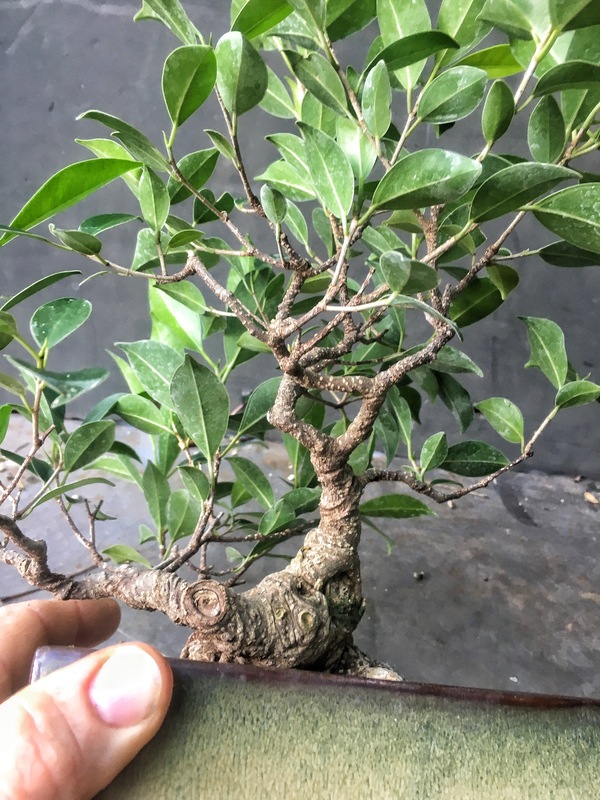 I bought this tree from Pavel Slovak in September and we discussed some ideas as to how it could be shaped and also how to address some of the issues it had. This is a true Scots pine (pinus sylvestris) from the high Alps. 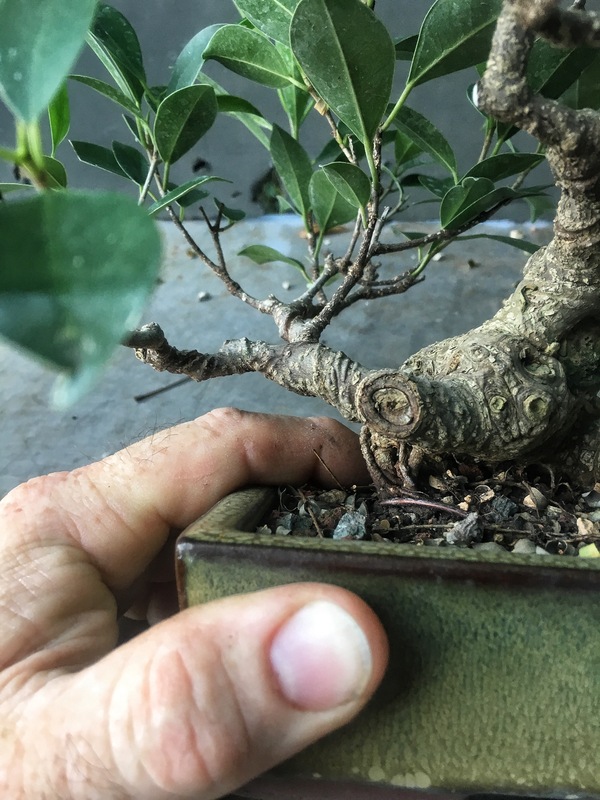 Many of the Scots that grow around the lower elevations have mixed somewhat and also have softer needles whereas the original Scots from the mountains have pointier needles and have slightly different bark as well. This was a front we thought could work well but the upper straight section needed to be addressed.